There are days where I love blogging, and days that I hate it. Then there are days like today, where I'm terribly, terribly conflicted about the whole thing. Sometime last week, I got an e-mail from fellow blogginator Ben from the mysteriously monikered Midnight Tease, saying that he's got something to send me and asking for my shipping address. Being the trusting duck I am, I provided it, and a few days later I got another e-mail saying that he'd sent me a package and that he was "sorry". As one can imagine, I was both perplexed and terrified by this, and when a small box at the Duck U Bookstore with my name on it, I contemplated calling the campus bomb squad. Saner heads prevailed, however, as it was pointed out to me that Duck U doesn't actually have a bomb squad. Resigned to a box full of spring-loaded custard pie, I retreated to my office and opened it. What was inside was worse than I imagined. 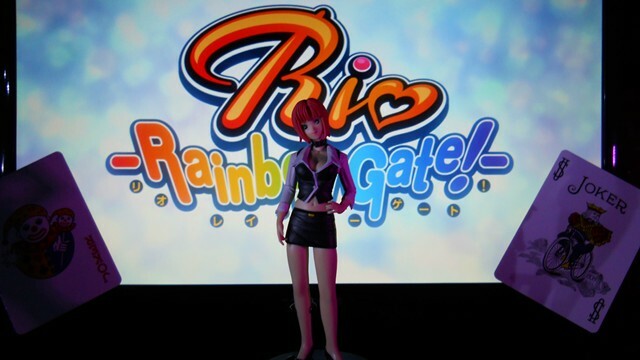 He had sent me Rio Rainbow Gate! gashapon figures. Technically, they're really Super Blackjack figures, but that's not why he sent them to me, and we all know it. I guess I'm really known for my love/hate relationship with Rio Rainbow Gate!, and it's an honor to perhaps be thought of as the go-to blogger for any show... it's just a shame it's one about a character from a line of pachinko machines. It's hard to believe that it's been over a year since I last did a writeup for a RRG! episode, as I still suffer from flashbacks and very bad dreams from the show. Even now, the thought of Rio in the shrimp costume makes my blood run cold. I'd be remiss if I didn't thank Ben profusely for his kindness. 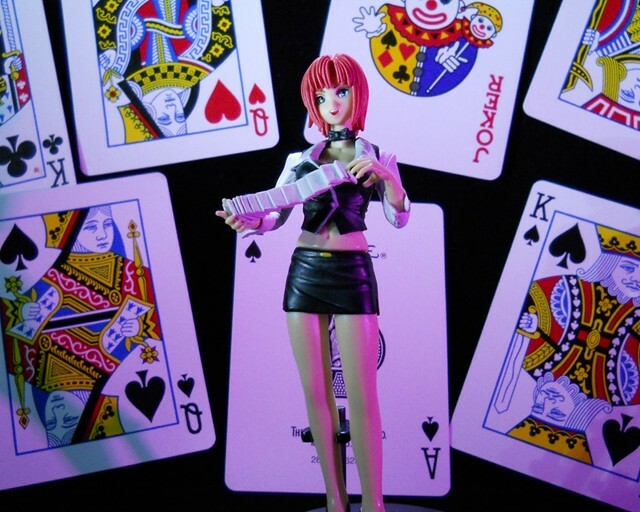 It was remarkably cool of him to send these figures to me, and as much as I act like RRG! is my own personal Hell, I really did enjoy it. Mostly. 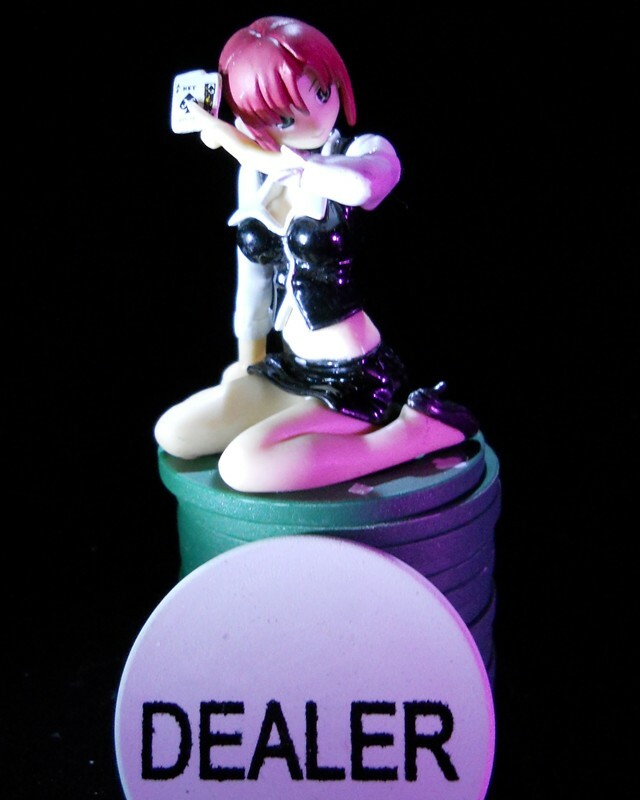 Oddly, my favorite of the figures is the smallest one, the one on the stack of poker chips. The others are no slouches, though! So there you have it... something worse than a custard pie in the face. 3 Could be worse, someone could be offering a vial of saliva in honor of Mysterious Girlfriend X. 5 Oh dear, good luck collecting THAT one. 23kb generated in CPU 0.03, elapsed 0.1966 seconds. 47 queries taking 0.1723 seconds, 248 records returned.